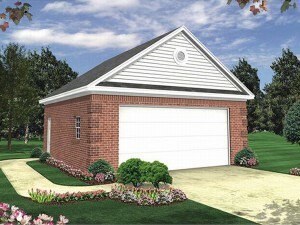 The Garage Plan Shop Blog » Stock Garage Plans: Sealed or Stamped? Stock Garage Plans: Sealed or Stamped? If you are planning to build a garage using stock plans, it is important to know these plans are not sealed or stamped by an architect. Like all pre-drawn plans, stock garage plans are designed to meet the national building codes in place at the time the plans are created. However, the plans may not meet all local building codes. Some states, cities, counties or municipalities require that stock garage plans are sealed or stamped by an architect or engineer certified in the state in which the garage will be built. This means the blueprints must be officially approved for construction. If you are building a garage using stock plans and need them to be sealed, stamped or engineered in order to obtain building permits, you will have to find a local professional to do this for you. Often the building department or your builder can recommend someone to seal or stamp the plans before construction begins. Before purchasing any stock garage plans, do your homework. Check with the building department to find out if a seal or stamp is required. Then, contact someone locally and make sure they can approve the plans. Be sure to find out how long it will take. It will save you time and cause less headaches if you know what is required before you begin. It is no fun to order your garage plans thinking you’ll be able to build right away only to find out there will be delays because you must have you plans approved first. Educating yourself about stock plans and whether or not an engineer’s or an architect’s seal or stamp is required is an important part of the process when it comes to building a new, detached garage. Learning from personal experience, it might save you a few headaches if you check around before you purchase the blueprints. Find a local professional who can stamp the plans for you before you purchase them. If the architect or engineer will have to make any modifications in order for the plans to meet your local building codes before stamping or sealing them, they may prefer to work with a CAD file over the reproducible master or they may even be able to write the changes on a standard set of plans. Depending on what they need, may influence what type or set of plans you buy. Otherwise, you may be having to upgrade your blueprint package later.